Darbar Movie First Look: Thalaivar 167 directed by AR Murugadoss is going on floors by April 10, 2019, and will be shot at a rapid pace to be completed before the end of this year. The title and the first look of the film released and Thalaivar 167 will officially be called as Darbar and Superstar Rajinikanth is playing as a cop in the film as speculated earlier seeing the poster. The photoshoot looks like the getup of Rajinikanth straight from the sets of Petta and the actor is surrounded by cop gadgets and dog. 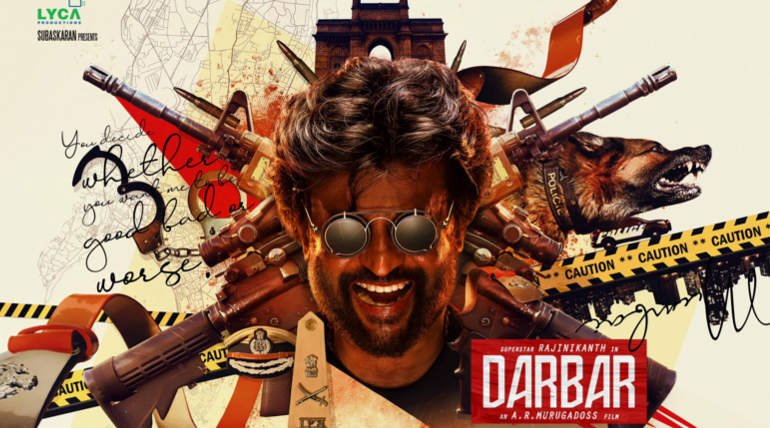 Darbar is set to release on Pongal 2020 as announced in the poster and the smile of Thalaivar hinted that the character is sure to be a kickass one. While the shot is starting soon, the film is expected to be the final film of Rajinikanth as per sources, as the star is officially entering politics soon. Anirudh is composing the music for the film after Petta combining with Superstar and this time ARM is sure to give a whole different experience. 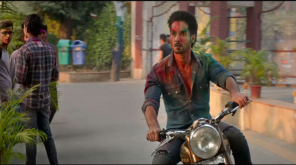 Santosh Sivan is the cinematographer of the film and Sreekar Prasad is handling the editing department. 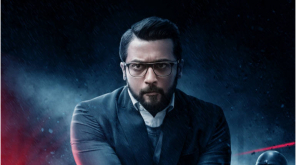 ARM after his political film Sarkar is coming up to team with the Superstar actor produced by Lyca Productions.